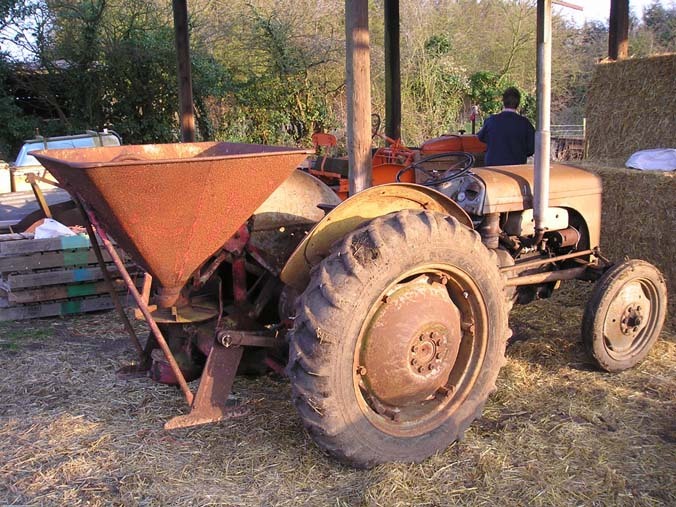 This spreader came as part of a lot including our TEF and a 735 loader. 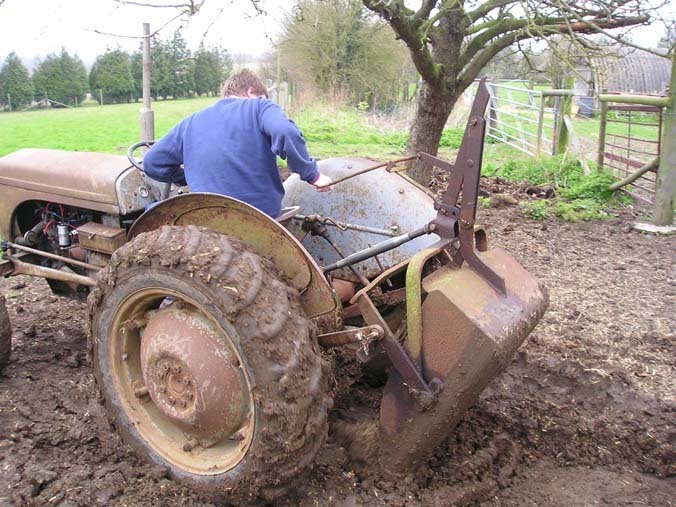 It was used on a local small holding on the TEF for paddock maintenance, however, it has suffered from an incompetent operator, but despite this the metalwork is very solid. I have used it a couple of times (click here for more pictures) and it works well. It is now stored under cover and requires minor work and a fresh coat of paint. The scoop arrived un-expectantly as part of large lot of implements, including a high lift loader. It was in better condition that the one already in the collection, so the decision was made to keep this one and sell the other. On arrival all of the moving parts were seized solid and the handle was missing, these have all now been freed off and a replacement handle sourced. To complete the restoration, a coat (or few!) of paint is required. 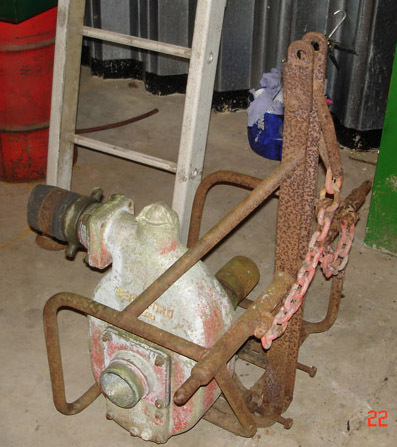 It has proved a useful implement, and more pictures of it working can be viewed here. 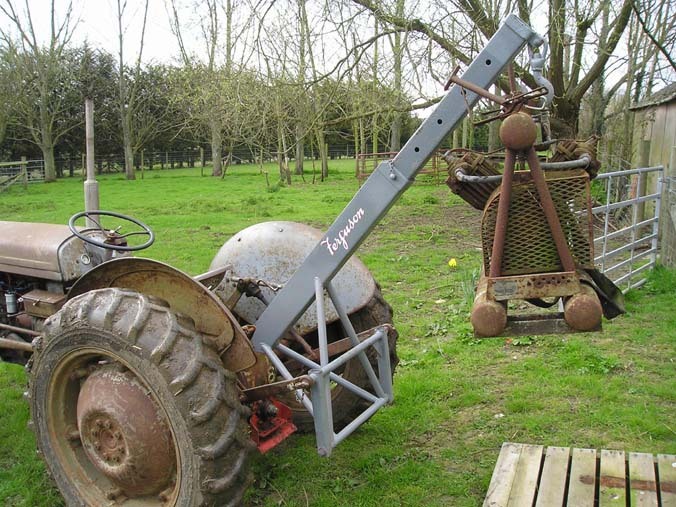 This unusual crane was found by chance in a local late farmer’s barn and is one of the most useful implements I have. When we were having the farm re-fenced it earned its keep delivering bundles of fence posts. It is in excellent condition, although would benefit from a good coat of paint and is complete with both brass plates. It provided the template for Holland-Brand’s reproduction cranes and this example can be viewed in use here.